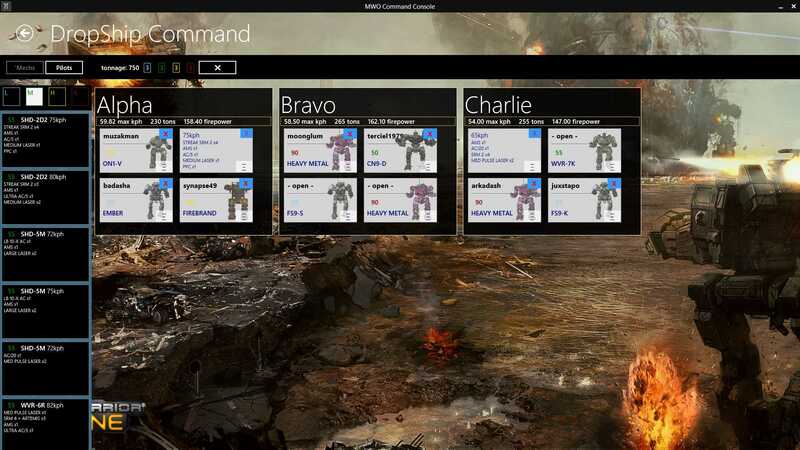 7/24/2014 Command Console 0.9.6 is now available in the store! Read more about latest new features in this thread. Don’t get left behind on the battlefield! Life is tough in the Inner Sphere. Make it easier on yourself with the MWO Command Console - an app that aims to fill in the gaps between the official MWO game features and the information you need to dominate your opponents. Introducing the DropShip Command section of the Command Console! Drag mechs out of your bay to put them into lances. Click the Pilot tab to add pilots to your squad’s pool. Enter text in the box and hit return or tap the button. Drag pilots onto mechs to assign them to their mounts. Accessible by clicking DropShip Command on the Hub, plot the demise of your enemies against the stunning backdrop of MWO concept artwork. the MWO Command Console app requires an API key from (mwo.smurfy-net.de) to download loadout data. This key can come from any user, and can be used to “show off” your catalog to friends. Alternatively, you can choose to have the app save your API key in the Credential Vault for faster start-up and refresh times. An internet connection is required to refresh data. 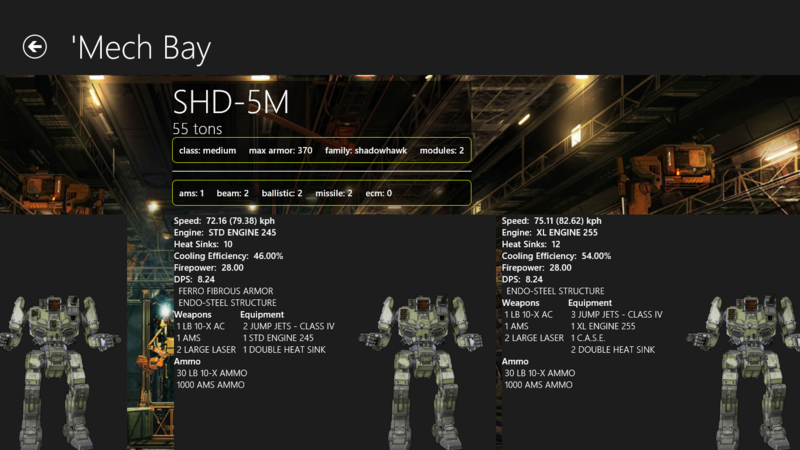 MWO Command Console stores catalog data for offline viewing between refreshes. Site content © 2014 Liquid Electron, LLC. All rights reserved.